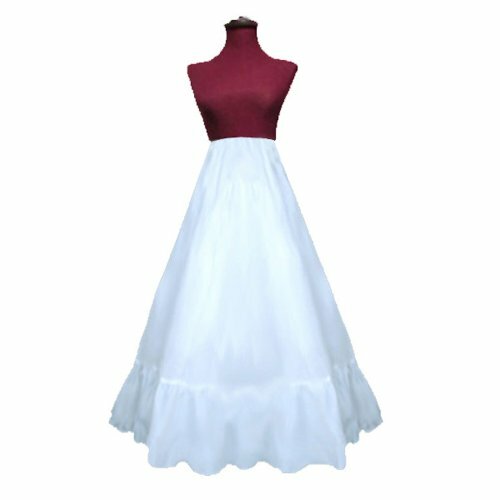 Brand New Adjustable A-line bridal wedding petticoat crinoline slip for regular bridal gown, A-line bridal gown, evening dress or formal wear.his slip has total 3 layers.The first top layer is made of smooth polyester with a lace trim bottom. The middle layer is made of tulle with a row of 12 inches tulle at the bottom to add extra fullness. The inside lining is made of a smooth polyester that protects your sensitive skin from being scratched. It has a Elastic flat Waist Band with a hook and eye designed to smooth and eliminate the bulge around the waist area. The color is available in White only. Newest Design: Flat Wasit Closure with Elastic Band with adjustable hook. Waist Size: Adjustable 22" to 35 "
Actual Height of the slip: 37"
If you have any questions about this product by SACASUSA, contact us by completing and submitting the form below. If you are looking for a specif part number, please include it with your message.